Jennie Stormes said she has planned her last protest over New Jersey's medical marijuana program. 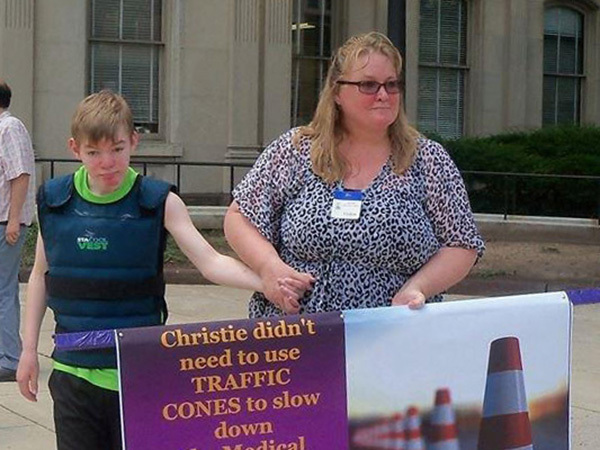 The Warren County mother has held a demonstration outside the Statehouse every Thursday since July 10 in the hope her palm cards, posters and photos of her 15-year-old son Jackson would draw attention to his plight. In addition to his prescribed medications, Jackson needs a steady, carefully measured oral dose of cannabis to help control his potentially deadly seizure disorder, Dravet syndrome. With the program's limitations there is no guarantee he'll always have it, Stormes said. So it was with a little sadness that Stormes greeted the 20 other activists who participated in the weekly protest today, this one held outside the nearby Department of Health building. Stormes, her son, and her 18-year-old daughter Sidnee are moving to Colorado Springs, Col. on Oct. 19. She is joining the 200-plus medical refugee families from all over the world in order to be within driving distance to a thriving medical cannabis program. Many of the children suffer from epilepsy and Realm of Caring, a cultivator in Colorado Springs grows a strain that appears to be help prevent seizures. "We shouldn't have to leave, but we are," said Stormes, 46, a nurse. The epiphany came last month when they flew out to Colorado last month to get a second opinion from a physician. "He asked me, 'Why aren't you here? I said because I live in New Jersey and I am changing things in New Jersey. He basically said, so are you going to save the world and your son is going to die? It hit home. What am I waiting for, when I can just go to a state like Colorado and have the medicine my son needs?" None of the three dispensaries operating in the state have been allowed to manufacture edible products, so Stormes, Rivera and other parents make their own cannabis-infused oil. Lefty Grimes of East Hanover, himself a registered patient, helped Stormes make her first batch. He said he can appreciate how difficult the process is, and why families leave. In February, The Wilson Family of Scotch Plains left for Denver so their 3-year-old daughter Vivian could get het Dravet syndrome under control. Now, the Stormes are leaving, he said. "I was amazed over how it helps these kids, and what their parents are going through – making them jump through all these hoops – they have enough to deal with," Grimes said. "They have to become doctors and pharmacists and chemists. They have such a small window to hit when they medicate their children. Too much THC or too little THC can cause a seizure and they have to hit that window every time. And there is no way to test it." The Department of Health declined to respond to the criticism raised during the protest. 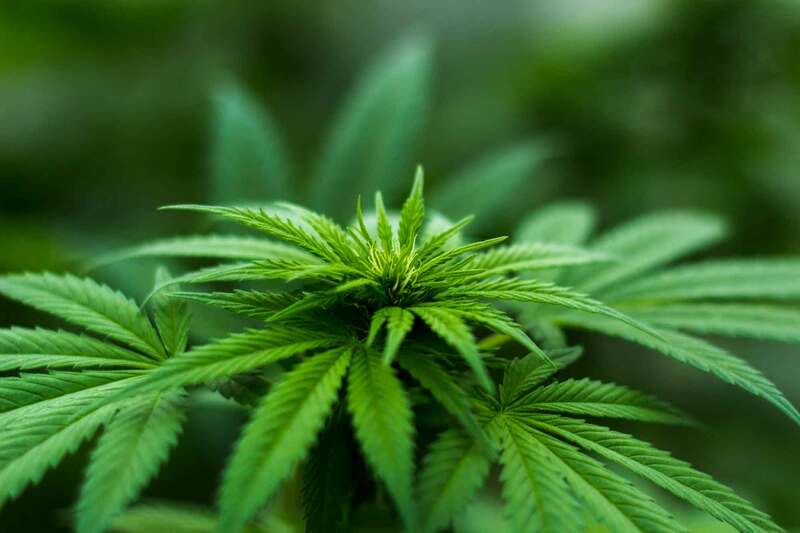 New Jersey's Medicinal Marijuana program has 3,030 registered patients and 234 caregivers who help patients obtain the cannabis if they are too sick to buy it prepare it, according to the department. Leaving behind Jackson's supportive school district in Belvidere and his Epileptologist Eric Segal in Hackensack is very hard. She doesn't have a job out there yet, and she is raising money on gofundme.com/MovingJacksonStormes to help pay moving expenses. Fellow activists said they are saddened by her departure. "Unfortunately for us, we are losing a big voice," said Ricardo Rivera of Oakland, whose daughter Tatyana, is enrolled in the medicinal marijuana program. Stormes said Jackson's dramatic progress in New Jersey gives her hope he will continue to improve. "He is growing. He is gaining weight. He is doing fabulous." Once she arrives, she'll move in with another family that migrated to Colorado for the cannabis – another single mom and her daughter. She said she looks forward to the support from the community of families, and the state's more accepting attitude about the types of medicine Jackson needs. "I am done with New Jersey," she said.